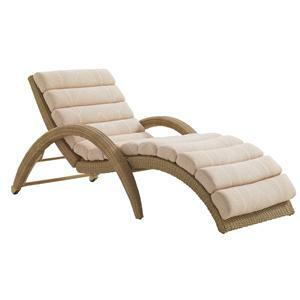 Create a warm and inviting seating area in your backyard with this chair and ottoman set. 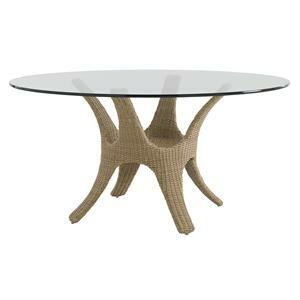 The chair features a rounded wicker back with two horizontal cut-outs. Meanwhile, the back curves around to the front, creating tall, track arms. 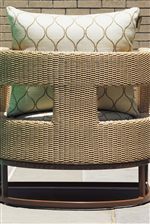 Both the chair and ottoman include an all-weather high-density polyethylene wicker frame, making the set durable and resistant to UV exposure, mildew, fading, staining, stretching, and cracking. Below, mocha-finished cast aluminum bases add support and are also protected from damaging UV rays, corrosion, and scratches. For ultimate comfort, the chair and ottoman include water-resistant and anti-microbial WeatherGuard foam cushions, which are upholstered in multiple color and pattern options. Made with a gorgeous design, quality materials, and ultra cozy cushions, this chair and ottoman set is the perfect piece to dress up your outdoor space. 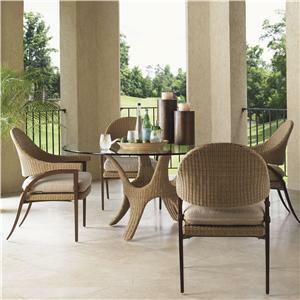 The Aviano Outdoor Wicker Chair and Ottoman Set with Mocha-Finished Aluminum Bases by Tommy Bahama Outdoor Living at Baer's Furniture in the Ft. Lauderdale, Ft. Myers, Orlando, Naples, Miami, Florida area. Product availability may vary. Contact us for the most current availability on this product. 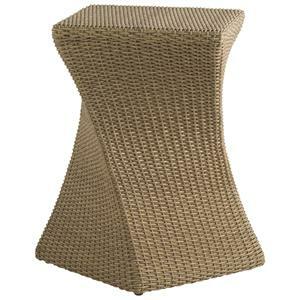 3220-11+CS3220-11 Barrel Chair 1 32" 35.5" 34"
3220-44+CS3220-44 Outdoor Ottoman 1 26" 22.5" 17.5"
Finish Description This Collection Features Natural Seagrass-Colored Wicker and Mocha-Finished Aluminum Bases. 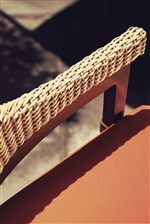 Finishes of Tommy Bahama Outdoor Living products are specially formulated, with custom base coats and painstaking handwork, to achieve a look unique in the industry. Ultra-durable polyester resin powder-coated finishes are baked on aluminum frames, ensuring that they are colorfast and highly resistant to damaging UR Rays. 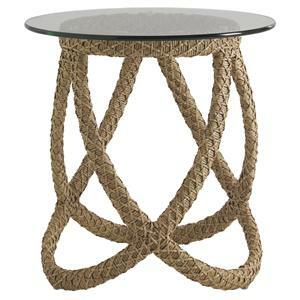 Finishes are also corrosion and scratch resistant. Techniques like dry brushing, padding, burnishing are used to add to the design and style of the collection. 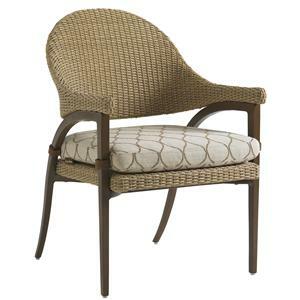 Cushions Exclusive Tommy Bahama Outdoor Living WeatherGuard™ Cushion are Made of 1.8 lb. Density, High-Resiliency Foam and Four Distinct Layers. 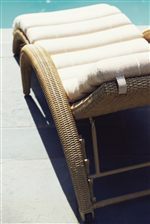 Cushions are Highly Water Resistant, Mildew Resistant, and Anti-Microbial. Customizable Options This collection features the Final Touches Program, which allows you to customize the fabric, welt, and trim for no additional charge (see attached PDF for more info). 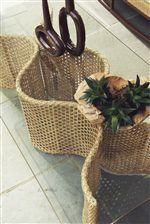 Maintenance Wicker- clean with soft cloth using a mixture of two tablespoons of mild liquid soap to one gallon of warm water. Do not use solvents, janitorial cleaner, alcohol based cleaners/protectants, petroleum based products, ammonia based cleaners, scouring agents or bleach. Aluminum- Easily maintained. Clean twice a year with solution of mild soap and water. Frame- Drain any water that might have accumulated in frame. Failure to drain standing water may result in freeze damage, which is not covered by warranty. Cushions-Clean minor spills with mild soap and a damp cloth, pat dry. Do not dry clean, use residential or commercial washers or dryers, or bleach . Store indoors when not in use. Luxurious, inviting, and bright, Tommy Bahama Outdoor Living provides you with the gorgeous mid-century modern designs of the Aviano collection. Incorporating curvaceous lines with eye-catching cut-out patterns and summertime colors, this grouping boasts a resort atmosphere in your own backyard sanctuary. 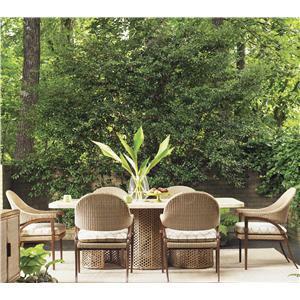 This collection is made with the finest materials, including all-weather high-density polyethylene wicker, cast aluminum frames, performance fabrics, WeatherGuard™ foam cushions, and Weatherstone™ tops. All materials are made to resist damaging UV rays, mildew, stretching, cracking, and corrosion, so you can leave your furniture outside without worrying about maintenance. 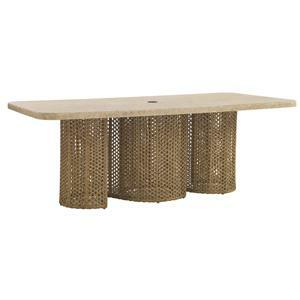 The mocha-finished aluminum frames are covered in a natural seagrass-colored wicker, so the pieces encompass an organic look with stylish, contemporary flair. 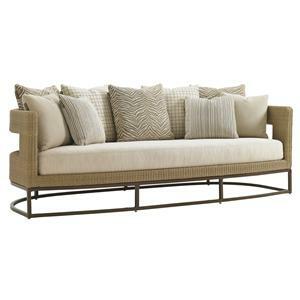 The durable stone and glass tops are sleek and long lasting, while the plush upholstered cushions provide ultimate comfort and are available in multiple color options. This collection offers several other customizable options as well, such as fabric, welt cords, and trim, so you can make the furniture truly your own! 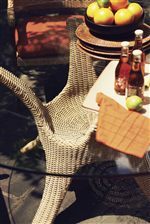 Whether you’re throwing a large soirée or simply relaxing by the pool with a glass of wine, the Aviano collection by Tommy Bahama Outdoor Living is the perfect addition to your backyard. 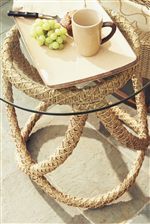 The Aviano collection is a great option if you are looking for Contemporary Outdoor Furniture in the Ft. Lauderdale, Ft. Myers, Orlando, Naples, Miami, Florida area. 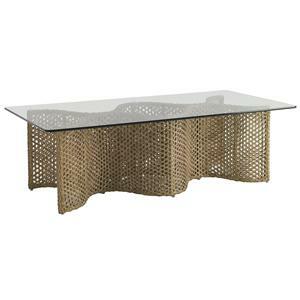 Browse other items in the Aviano collection from Baer's Furniture in the Ft. Lauderdale, Ft. Myers, Orlando, Naples, Miami, Florida area.